I’ll tell you something about the still invisible object of my book Story on Copy – the book that should come out by this summer in the co-production of the Akademie Schloss Solitude and tranzit Vienna. This not-yet-visible object of printed matter has something to do with the bunch of the artifacts scattered around the large passages and meeting spaces of this castle, which together make the conceptual exhibition Story on Copy – the spatial inscription of visual and verbal tales, or the book by other means. To exhibit a book is »a suspicious business« – the act of the contemporary compiler, appropriationist or curator, the one who collects the authored or non-authored content-units and re-organizes them into the larger space-time narrative of the exhibition. But, there are also you – the observers, the participants of the story who are (re)constructing this narrative and writing it anew by your exploration-walk and dedicated acts of observation. Who is then the creator of the story, the author, the owner of these words; is it artifacts themselves or movements of bodies and minds around it that create the story? Who is the author in this collective process? This is an example of the book – or the artifact – which exhibits laziness, hesitation and over-accumulation of contents, of stories, and things … the book by Mladen Stlinović in which he repeated and copied the one and the same sentence, line after line, page after page, on 42 pages. The sentence I don’t have time, I don’t have time, I don’t have time, I don’t have time… is mercilessly repeated. And the inscription on the front page is equally merciless and absurd – I wrote this book when I didn’t have time, I propose you to read it when you don’t have time. The Stilinović’s book is not among those scattered objects and tales as part of this exhibition, but I’m associating it with the labor I’m doing now, retelling you what’s in the book – in advance … and I have to do it within twenty minutes, which is the official length of this presentation, so yes – I don’t have time, You don’t have time and nobody has time. Win-Win, or Lose-Lose? OK, all about copy in four sentences! Or, maybe this Gobelin, this embroidery of the image of Duchamp’s Urinal or Fountain made after the black and white reproductions from art historical books is telling all about copy in one breath. But, still I’ll tell you what I mean. And the image that we look at is the caricature of Bad Artist – a non-creative man who paints one and the same picture time and again … What we see is ha-ha-ha artist. The copyist. Not author, not genius and maybe not a man. 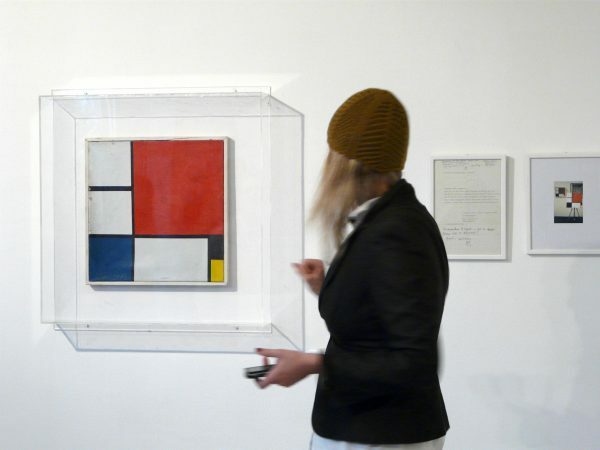 This is the artefact presented in the glass box in the café of the Schloss Solitude, entitled Piet Mondrian, Composition II, 45x45cm, acrylic on canvas, 1969 (Private collection). I’ll tell you one story on copy which is told to me by the doorman of Salon de Fleurus when I visited New York in 2003. The ultimate destination of modern and contemporary art was the THE CONCEPT, THE IDEA. Conceptual art, and one of its main protagonists Joseph Koshut, made the artwork called Art as Idea as Idea, which you can see on this slide … Obviously the highest moment of fetishization of the notions of concept and idea. We can say that this »ultimate destination« of art was shared by the Conceptualists and Academicists-Classicists – the founders of the Institution of Art – despite of all the negativity that Conceptual art was addressing towards the existing art institutions. It was the institution of art – Academia or the Museum – that gave birth to visual art as a Liberal Art (ars liberales), distancing it from the crafts, from the labour of »luxurious decoration« … Joshua Reynolds – one of the founders of the British Academy of Art in the 18th century – stated that »art is ennobled by the intellectual dignity« that »draws a line between him (the artist) and the pure mechanic who does not produce art but mere ornament.« … The fetish of the concept and idea is borne through the distinction between art-object-as-decorative-thing and art-object-as-the-thing-of-intellect. 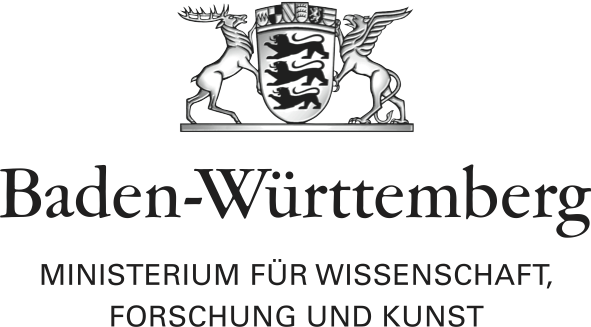 In constituting the aesthetic as a distinct sphere at the same moment the institution of art establishes the attributes of uniqueness, originality, and authorship, the difference between high art and commercial culture of luxury craftsmanship was also introduced. God is dead. The artist is born. I’ll read you the passage from the interview with former artist Goran Đorđević who began as Conceptualist in the 1970s, turned Copyist in the first half of the 1980s, and, in the end, withdrew from the art scene in 1985 as non-author and non-artist. At first glance, the investment into copying appears to be a senseless business. But nothing is 100% senseless in contemporary art. It’s becoming harder and harder to make non-art. The fast metabolism of contemporary art digests everything. However, the copy still leads us to the furthest possible point in relation to everything that is in any way considered valuable by modern and contemporary art. With the copy we move towards the furthest possible point of the reach of contemporary art, but at the same time we remain playing on the terrain of art. Walter Benjamin: Unmaking of Art, e-flux, New York, 2014 – This recent lecture performance is exhibited in the most remote corner of the long corridor of the Solitude Castle. Walter Benjamin: Mondrian 63-69, TV Galerija, Belgrade, 1987 – The lecture performance by famous philosopher exhibited here in the café made me think further about the Author. Those who do not accept the existence of art for granted, who address certain negativity towards art, who introduce questioning, suspicion – are actually »true believers« in art. Jelena Vesić is an independent curator, writer, editor, and lecturer. She is active in the field of publishing, research and exhibition practice, intertwining political theory and contemporary art. She is also making great gibanica.